BY DEMAND, NEW AUCKLAND MATINEE SHOW ADDED! Having just wrapped up a sell-out South African tour with some of his best shows ever, New Zealand is next in line for Dynamo’s magical ‘SEEING IS BELIEVING’ LIVE TOUR 2018. The kiwi appetite to see Dynamo ‘the undisputed king of magic’ live is absolutely huge, as would be expected for one of the most popular entertainers in NZ television history! We are thrilled to announce that Dynamo will now extend his first ever New Zealand tour to a total of eight arena performances with one last and final show to be added to his already massive NZ tour – a new Sunday matinee 3pm show for Auckland on July 29th. Special family tickets from just $74* are available to all shows - be quick! 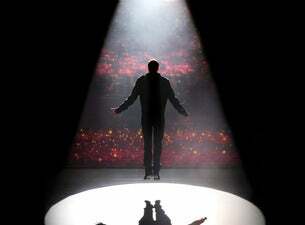 Everyone loves Dynamo - Click here to see why and prepare to be amazed! “enter….with an open heart and a willingness to be amazed, Dynamo will give you an unforgettable experience with Seeing is Believing” – Barbara Loots, Theatre Scene S.A. Bringing one of the largest scale magic shows in the world to local audiences, Dynamo will now be performing four spellbinding magical Auckland shows at Spark Arena with the announcement of this family-friendly matinee at 3.00pm on Sunday 29th July! As per usual Dynamo is smashing it, with sell out houses in each territory he visits, captivating audiences with his unique mind-bending magic, heart-stopping stunts and daring take-your-breath-away illusionist feats! We can’t wait until Dynamo hits our shores! Make sure you add that bit of magic to your lives and get your tickets to see Dynamo this July – because, as everyone knows, Seeing Is Believing!